I know I just said on Monday I was going to take a break from thrifting but I really missed it. I even volunteered yesterday and only bought shirts for personal use! I've only successfully sold the American Airline branded cups last year. The Dodge glasses have been sitting but I feel good about these. Maybe someone will want to toast their new phone? 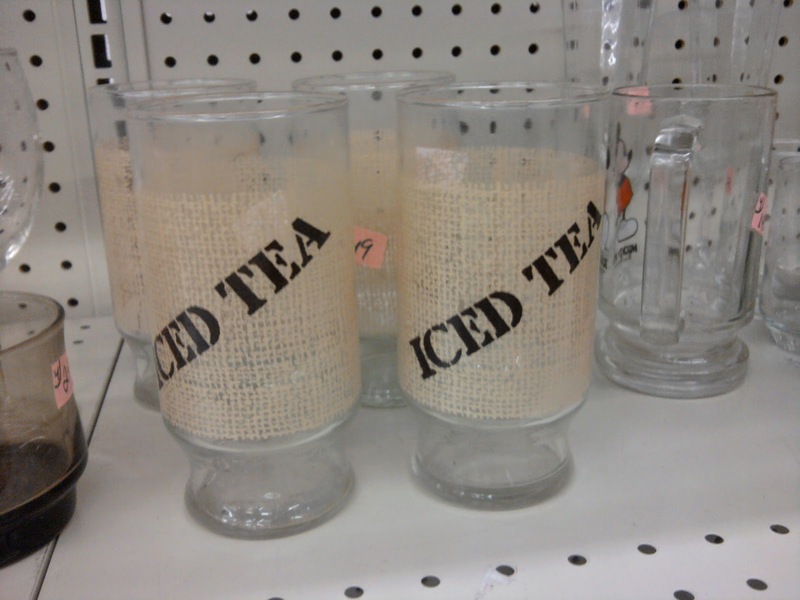 These were too cool to leave behind. I have a feeling they are "something." The American Girl album was unpriced and the woman who prices said to ask at the register. The cashier called the manager who called the pricer again. It was a veritable caucus and the cashier suggested 7.99 but the manager went with 4.99. At least it wasn't sharpied on the cover. Did you see the video of Conan visiting the American Girl store? Conan is so much funnier than the rest of us. 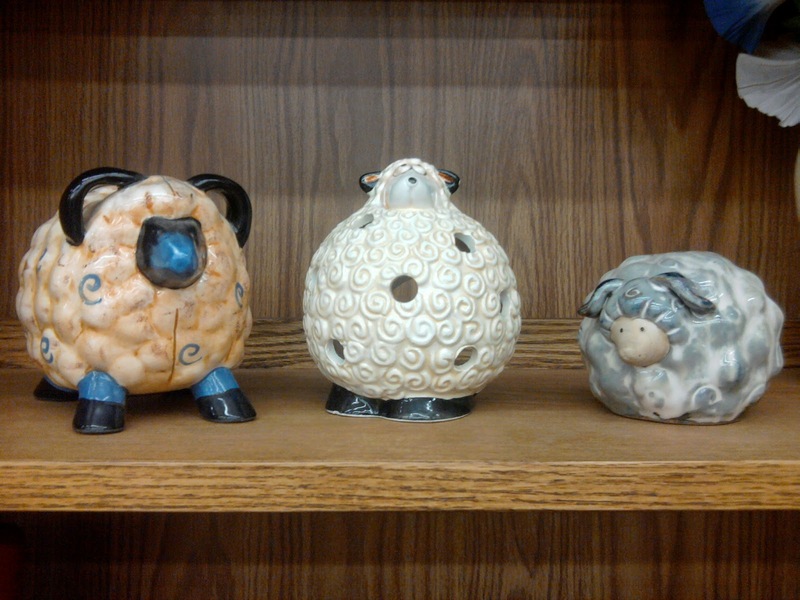 In Oddball Collections News someone donated a bunch of sheep. None were marked and/or cute enough to come home though. I really like those little star candle holders (?) So pretty!